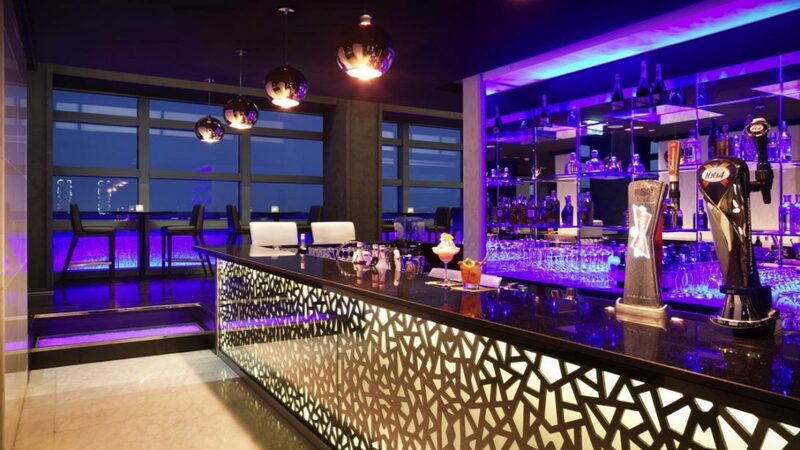 High up on the 36th and 37th floors of the hotel, Jazz & Fizz is the ideal Abu Dhabi bar for after-work drinks and relaxation with colleagues. Unwind with a signature drink or a glass of bubbly and a fine cigar as jazz music and Arabic tunes provide the soundtrack for your evening. The views of Abu Dhabi’s twinkling skyline as day becomes night are enchanting, while the mood lighting and décor set the scene for an evening to remember.